Our friend and Purchase College Alum Rebecca Lomuto shared this exhibition with us, we encourage you all to apply! The show, Place Setting, is inspired by the idea of the dinner table, a place where artists are welcome to join in conversation, to share, reflect and organize during a time of unrest. This show is for those who are feeling unheard, fed-up, full of rage and are looking for support from their fellow creatives. Place Setting is focused on supporting artists who have historically been underrepresented in the arts. 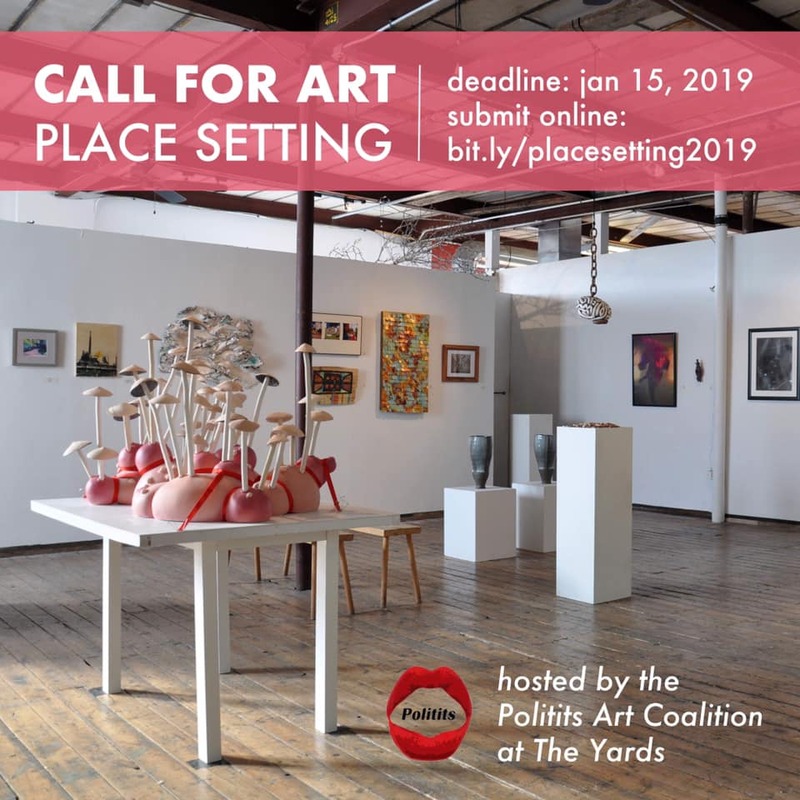 This year, we will accept work from up to 40 artists, focusing on submissions from female-identifying (and gender non-conforming), POC, and LGBTQ artists that encourage place, space, and togetherness in trying times. We are searching for diversity in process, material, and vision; free from censorship. This exhibition is a way of welcoming folks to our table; opening up places to those who have been traditionally passed over within the art community. We offer you a place, set for those who have art, vision and most importantly tenderness to share. Two awards will be offered in this exhibition! Award Juror TBA. No size restrictions. Open to national and international artists. Submission fee: $15 for 1-3 images. Please send $15 via PayPal to polititsartcoalition@gmail.com at the time of submission. Open Call Show Applications End Soon!